Their art is so well known, they only need one name. You recognize them—Erte and Tamara. 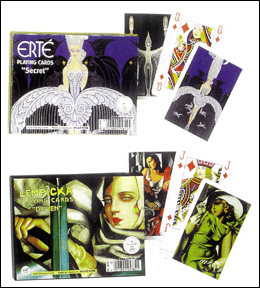 Add some Deco glamour to your next bridge game with these double card decks.